We had a great weekend at each of the ministries this week. Our overflow room was nearly full for the morning service and the spirit was great. They had predicted that we would have another thunder storm but thankfully we did not. Before each of our Sunday services the men break into small groups and pray for God’s blessing and protection during the services. 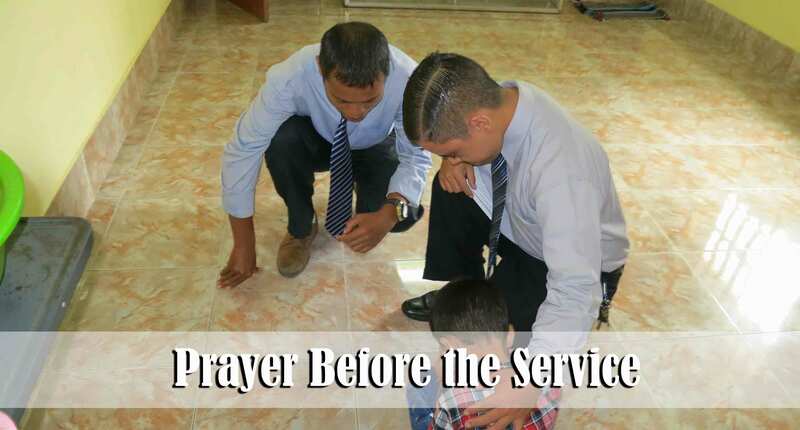 It is great to see older men, young men, and boys praying together. We know that the battle is lost or won, in part, because of the prayer of God’s people. Thank you for helping to “hold the ropes” for us through your consistent prayers. 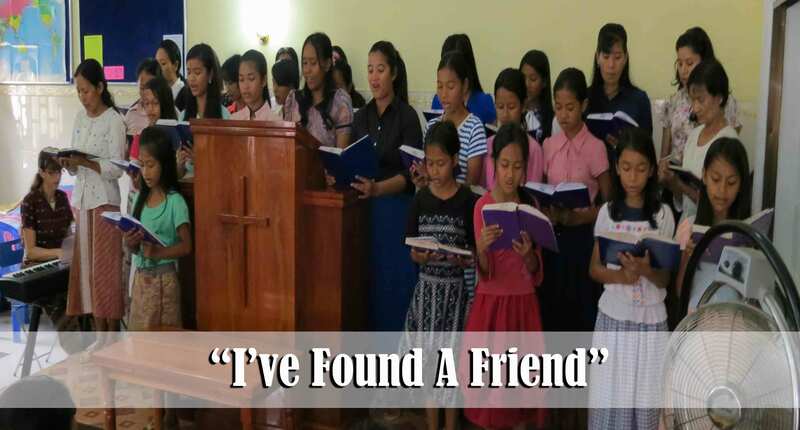 Some of the ladies and girls sang the hymn “I’ve Found a Friend” during the morning service. We are blessed to realize that nearly every person singing in this group was saved here at Pacific Baptist Church of Phnom Penh. Indeed, the Lord Jesus Christ is a Friend Who sticks closer than a brother to those who turn to Him for salvation. During one of the small group discipleship times I asked one of our men to describe how his life has changed since being saved. He told a moving story of how, prior to salvation, he felt lonely and as though he did not fit in with those around him. He shared that now that he is God’s son and a part of the family of God, he feels like he has finally found peace and a place to belong. Thank you for helping the ministries here in Cambodia to exist. They are making an eternal difference in many lives. Each Sunday morning we have a different man share a testimony about something that he has learned from God’s Word over the past week. This past week Brother Sinath shared how that since being saved he has learned the importance of telling his family that he loves them on a regular basis. Brother Sinath is part of a men’s accountability group that I lead each Saturday evening. It has been a blessing to see the spiritual growth that has taken place in his family over the past year. Pray for Brother Sinath and the workers who go to Prey Bang village each week for soul-winning and follow-up on new believers. It was a blessing to have Sambath visit our morning service. This was his first time to step foot into a Christian church. Before the service I had the chance to briefly meet him and assure him that nothing too scary would happen in the service. One has to wonder what new folks are thinking when they visit the church for the first time. We don’t have his contact information so it is impossible for us to follow-up on him. Please help pray that Sambath will return to church and that we will have the opportunity to get closer to him as we seek to win him to the Lord. Debbie and I were so happy to have Mora in the morning service for the very first time. She works at a coffee shop that we frequent on our date night and so we have had the opportunity to build a bit of a relationship with her for the past nearly three months. She is not yet saved but seems to be really searching for the truth. Sunday morning we found out that during the Pjum Ben festival a couple of weeks ago she returned to her home village several hours away and asked her father and mother what they would think if she became a Christian. They asked her a lot of questions that she was not able to answer but they apparently did not try to discourage her from becoming a Christian. Please pray for Mora to be saved very soon. It was a blessing to have SokCheata visit for the first time as well. She has a very bubbly personality and was full of questions after the service. Please pray that we will have more opportunity to get close to SokCheata. She has been a Christian for several years but belongs to a church that is not doctrinally sound. Sophal has been a bright and shining light for the gospel since getting saved because of a faithful soul-winner here at the church. PunLeak and Narong are Sophal’s friends. Punleak professes to be already saved. Brother Man began doing one-on-one discipleship with him this past week. Please help pray that PunLeak will be faithful to church and to his discipleship time each week. Narong is not yet saved but is very open to the gospel. He is not quite ready to believe everything yet but he has a great attitude and I believe he will be saved soon. Please pray that we will be able to get closer to him and that God will place a hedge of protection around him from those in his life who might seek to discourage him from accepting Jesus as His Saviour. PunLeak and Narong are both in medical school and training to become doctors. Srey Neang is a sweet and godly teen young lady here at the church. Here in this picture you see her preparing a small drink and snack for the children to receive as they return home from Children’s Ministry. She and her three sisters are at the church and involved every time that the doors are open. Recently her older brother, Dy, was saved and is starting to become faithful as well. Please pray for the salvation of Srey Neang’s mother. We are so blessed to be surrounded by so many folks who are willing and eager to serve the Lord with the gifts that God has given to them. This group of teens is singing a special song for the Children’s Ministry. 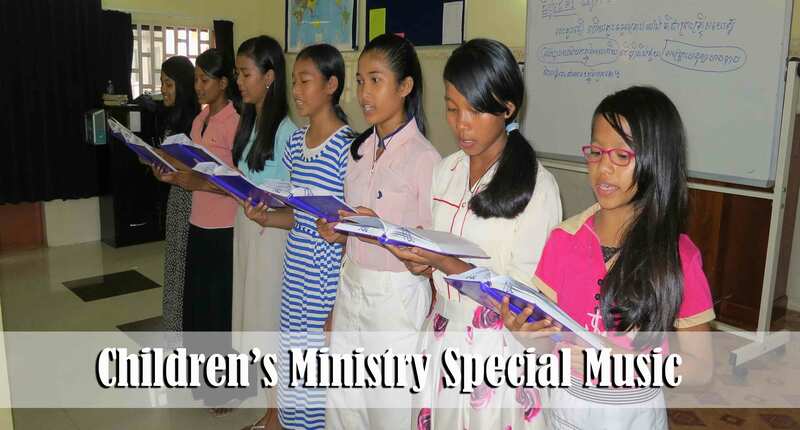 Beginning in November we hope to split the Phnom Penh Children’s Ministry into three groups divided according to age. We presently have two groups. This split will enable more folks to be involved in learning how to lead their own people. The English small group ensemble sang “Count the Cost of One Soul Lost” during the Sunday morning service. Below you will see the video of the song. More important than the quality of their singing is the fact that nearly every person singing in this group was saved here at the church. Every one of them are faithfully serving the Lord and seeking to win the lost through the various outreach ministries of our church. 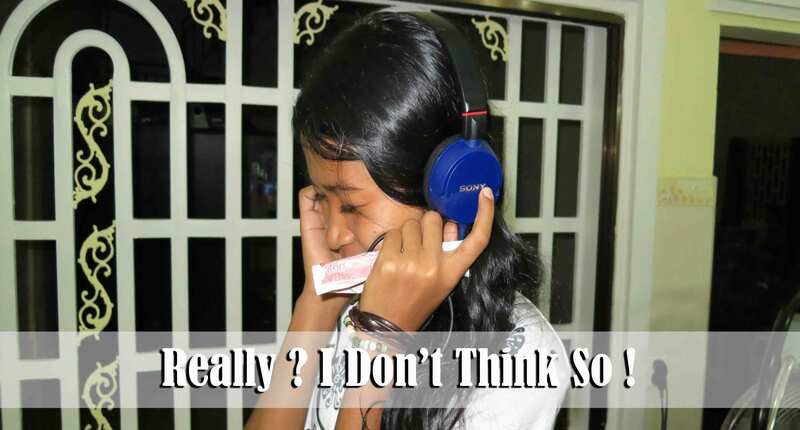 Sunday afternoon some of the teens in Phnom Penh participated in the Bible memory verse quiz over Philippians chapter 2. This month we had twenty teens who participated with four of them scoring 100%! Additionally, we had four more young people who scored 98.8%, including our youngest son, Jason. We are blessed to see the faithfulness of the young people. Many of them could be seen throughout the week with their verse sheets in hand, reviewing their verses and quizzing each other. Several weeks ago we asked you to pray for the salvation of Meng. (formerly spelled “Ming”) We are so happy to be able to tell you that Meng accepted Christ as her personal Saviour tonight after our mid-week service! We don’t normally have an altar call for salvation on Wednesday evenings but this evening I felt led to do so. We are so happy that she had the courage to raise her hand to express her desire to stop putting off salvation. Miss Grace, Sina, and Moni have really been working with her for the past month to help her understand her need to be saved. Miss Grace and Moni dealt with her after the service for nearly an hour and answered more of the questions that she had. 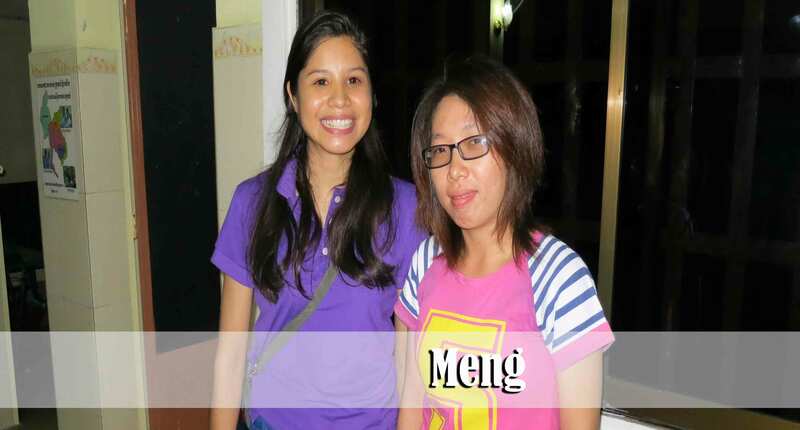 Please pray that as Meng grows in her new faith she will discover the purpose for which God created her. She works as a Chinese language translator for a company here in Phnom Penh. (Here is the link to our first mention of Meng – https://goodnewsfromafar.com/2014/09/07/september-7-2014) If you have been praying for Meng, you played an important part in seeing her saved! Just last week I announced to our men several of our ministry goals for the years 2015-2016. Vision casting is an important aspect in seeing people grow in the Lord. This is especially true for young people. If they don’t get a vision from God for their life, it is certain that the world will provide many options for them. The result will be a wasted life. One of the mistakes we often make is that of simply living day by day with no real sense of what God may be wanting to accomplish in and through us for His glory. It is vital that the national believers who are being saved and trained understand that God did not save them to simply be “good church members.” As with everyone who has been saved, God always saves us so that we might glorify Him with our lives through personally reaching those around us. Our folks here in Cambodia are understanding their responsibility to seek to reach their friends and loved ones. While we are not yet ready to begin sending folks into other countries we do believe that in the future God will allow us to send many families into other places that are in need of the gospel. We will now begin strongly emphasizing their role and responsibility in going unto the “uttermost parts of the earth.” One of the goals we have is to begin teaching the Chinese language in our Bible Institute. I can’t go into much detail her in this blog but as we are able to see many of you this next year, we hope to be able to share with you what we believe God may want to do through our ministries here in Cambodia in order to reach into China with the gospel in the years to come. We want to begin equipping the young people now! I believe that one of the things that has likely helped me to be able to effectively connect with and reach Khmer speaking people is that I had the opportunity to learn the language when I was only 16 years old. Perhaps Meng will be just one more link in the chain that will enable us to be able to send a fully equipped team of missionaries into that country. On August 25th we asked you to pray for the salvation of Pich. We are so happy to let you know that she accepted Christ as her personal Saviour this past week. So many folks in the village have been reaching out to her and helping her to understand her need for a Saviour. Her husband, Ra, has only been saved a few months and is very faithful to the ministries of our church in his village. Each week he makes the four hour round trip commute to Phnom Penh to study in the Bible Institute. Ra’s brother-in-law, San, has been investing a lot of time and effort in helping to disciple him. 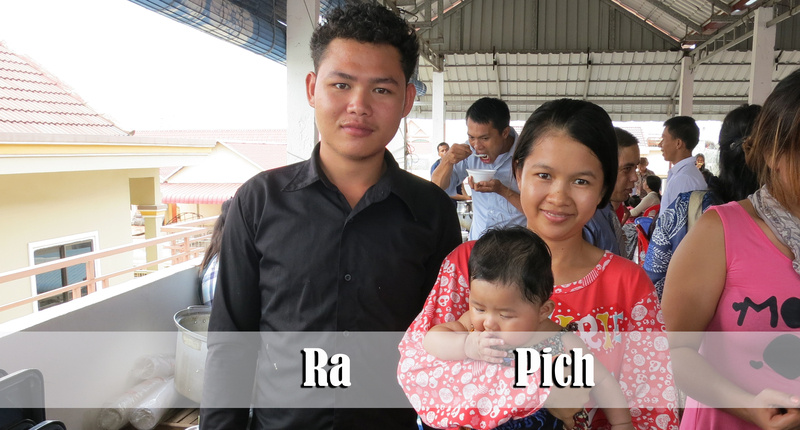 Please pray for Ra and Pich as they grow in their new faith. (Here is the link to our first mention of Ra and Pich – https://goodnewsfromafar.com/2014/08/25/august-24-2014) If you have been praying for Pich, you played an important part in her salvation! Pich’s mother, Pheap, has been asking a lot of questions about what it means to be a Christian. As a Muslim there is a price to pay for becoming a Christian and we know that she is “counting the cost” of what it will mean if she chooses to turn from religion and to Jesus Christ. Please pray for the soul-winners who are reaching out to Pheap to have wisdom and God’s power as they seek to win her to the Lord. Every Thursday Brother Vannak, Kam, and Beh travel to Trabang Tma village (about two hours from Phnom Penh) in order to share the gospel as well as teach the children in that village. On July 20th we reported to you that Mr. Chun, 68 years old, had accepted Christ as his personal Saviour. 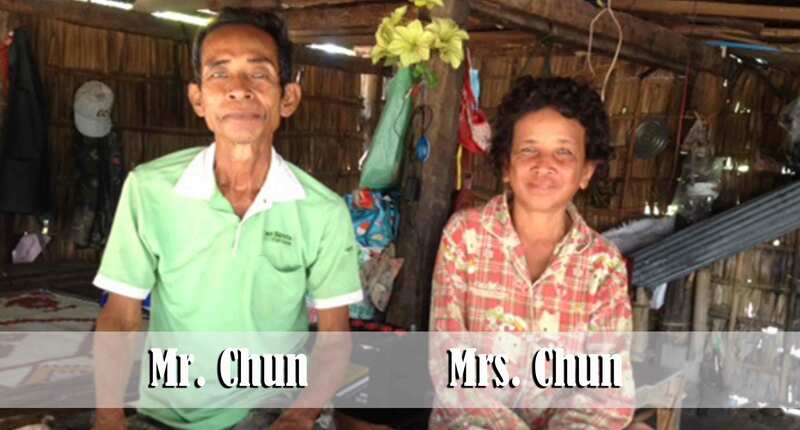 (Here is the link to the reference about Mr. Chun – https://goodnewsfromafar.com/2014/07/20/july-20-2014) We are so happy to let you know that this past week Mrs. Chun turned to Jesus and accepted the gift of salvation! Brother Vannak and others have invested much time in explaining the gospel to her and we are so excited that she is now saved. Please pray for Mr. and Mrs. Chun as they grow in their faith. We hope, as the Lord leads, to be able to see a church established in Trabang Tma village in 2015.